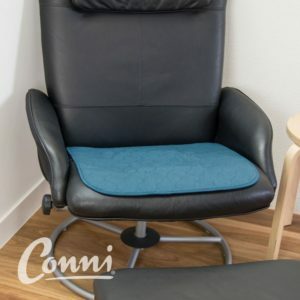 The Conni Chair Pad absorbs fluid, protecting your furniture, wheelchair, and car. It is suitable for adult incontinence and child potty training. The Conni absorbent and waterproof chair pad holds over 1.2 pints (600mls) of fluid. It is a useful aid for incontinence and Potty Training. Soft polyester top layer; highly absorbent core and breathable PUL waterproof backing. 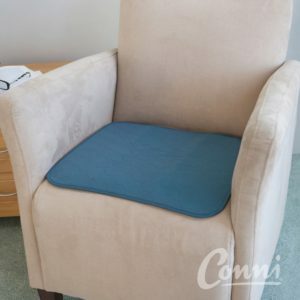 Use the Conni chair pad to protect seating in your vehicle; wheelchairs or general furniture. Place discreetly on top of the chair, car seat or other furniture. The chair pad absorbs fluid and protects seating; avoiding the need to clean and deodorize soiled furniture.